A South Florida man and his family came across a shocking sight while taking a break at a rest stop on Alligator Alley. Will James was driving to Naples on Tuesday with his wife and daughter when they stopped at the rest area at Mile Marker 62 in the Big Cypress National Preserve. James, an experienced hiker, said he heard snarling and barking just off the trail near the rest area and walked back to find what was making the odd noises. That’s when they discovered a coyote in distress with a boa constrictor wrapped around its neck and body. James says the coyote was kicking and biting at the snake before the unwelcome slithery friend finally let go, but not before biting the coyote on its hind leg. The exhausted coyote was able to walk away with a noticeable limp. Though I’m not normally on any coyote’s side, I think the photographer ought to have intervened out of mammalian solidarity against that snake. 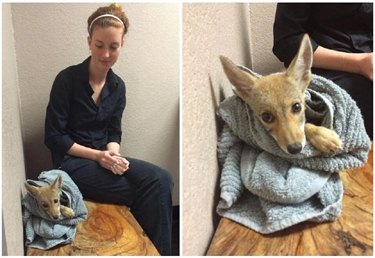 Woman thought she saved a puppy in an alley but it turned out to be a coyote. AP reports that the recent wave of coyote attacks on small children in the Greater Los Angeles is part of a larger pattern, and is now the subject of academic study. The coyote was limping as it approached a girl in a sand box at a public park — but it was still dangerous. It snapped its jaws on the girl’s buttocks and her nanny had to pry the toddler from the wild animal. Less than a week later, a coyote in a mountain resort town some 35 miles away grabbed a girl by the head and tried to drag her from a front yard until her mother scared it away. 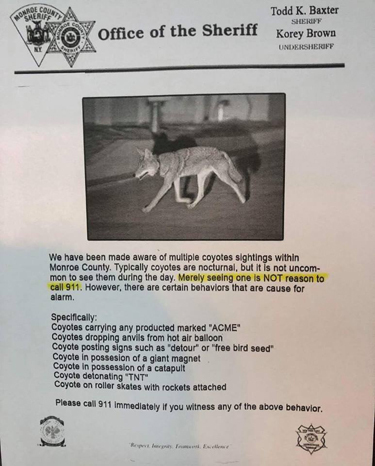 A spate of coyote attacks in the fast-growing suburbs east of Los Angeles have left parents on edge and puzzled wildlife officials. Since last year, there have been seven coyote attacks in the Chino Hills area, including four in which children were bitten. State wildlife officials have killed 23 coyotes to protect the public. Timm, the University of California scientist, said coyotes behave in predictable ways when they turn aggressive such as snatching pets during the daytime or chasing joggers and bicyclists. If people recognize these signs, they may be able to thwart an attack, he said. Timm has created a Web site, CoyoteBytes.org, where residents in Los Angeles, Orange and San Diego counties can report coyote bites or sightings. Scientists use the information to study the scope of the problem. It isn’t really terribly confusing, actually. Today’s America, in the West, frequently features the close proximity of Nature in the wild with dense urban areas. Nobody in California’s cities and suburbs has the old-fashioned 12 gauge shotgun propped up behind the kitchen door ready for invading predators. Without hunting pressure to make Western predators fearful of human beings, they will inevitably grow bolder over time and sooner or later incidents of human predation will occur. Fox News reports two more attacks on toddlers by opportunistic coyotes in the Los Angeles area in the same week as the prior Chino Hills park attack. A coyote grabbed a 2-year-old girl by the head and tried to drag her from the front yard of her mountain home in the third incident of a coyote threatening a small child in Southern California in five days, authorities said. The coyote attacked the girl around noon Tuesday when her mother, Melissa Rowley, went inside the home for a moment to put away a camera, the San Bernardino County Sheriff’s Department said in an incident report. Rowley came out of the house and saw the coyote dragging her daughter towards a street. She ran towards her daughter, and the animal released the girl and ran away, said sheriff’s spokeswoman Arden Wiltshire. 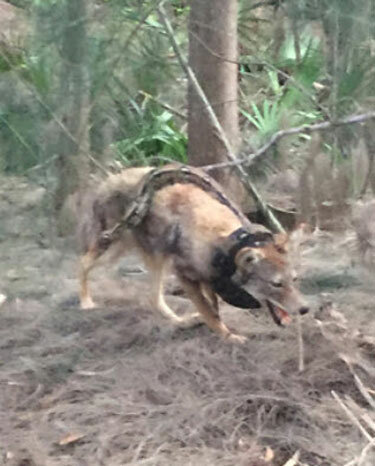 State Fish and Game wardens and county animal control authorities set traps for the coyote and were monitoring the neighborhood high in the San Bernardino Mountains about 65 miles miles northeast of Los Angeles. On Friday, a nanny pulled a 2-year-old girl from the jaws of a coyote at Alterra Park in Chino Hills, a San Bernardino County community about 30 miles east of Los Angeles. The girl suffered puncture wounds to her buttocks and was treated at a hospital. A coyote came after another toddler in the same park Sunday. 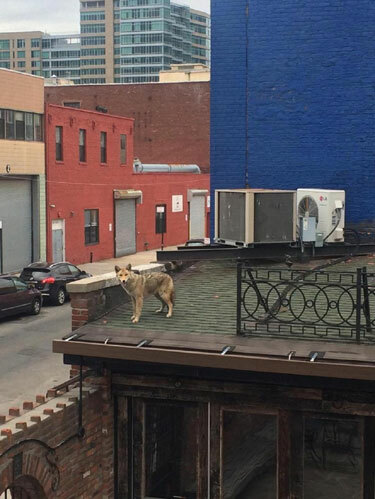 The child’s father kicked and chased the coyote away. A nanny pulled a 2-year-old girl from the jaws of a coyote Friday when the animal attacked the toddler and tried to carry her away in its mouth, officials said. The girl was playing in a sandbox at Alterra Park in Chino Hills in San Bernardino County. Around 10:30 a.m., the caretaker heard screaming and saw a coyote trying to carry the child off in its mouth, officials said. The babysitter grabbed the child and pulled her from the coyote’s grasp, the sheriff’s department said in a statement. The coyote then ran off into nearby brush. Miller said there was another attack in the area in October when a coyote bit a 3-year-old girl playing in a cul-de-sac. The girl needed treatment for puncture wounds to the head and thigh, Miller said. US scientists say an animal found in Texas is not the chupacabra – or goat-sucker – of American myth, but a coyote with a hair loss problem. DNA tests on the carcass found at a ranch south-east of San Antonio yielded a virtually identical match to coyote DNA, biologist Mike Forstner said. The coyote was one of three found dead by rancher Phylis Canion this summer. Central American myth has long spoken of a vampire-like creature that slays livestock by sucking out their blood. 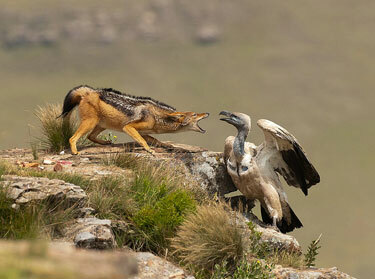 The chupacabra is said to attack its victims at night, leaving a trail of carcasses with their throats torn out. Mr Forstner said that he himself had assumed the creature brought in for testing at Texas State University was a domestic dog but “the DNA sequence is a virtually identical match to DNA from the coyote”. Ms Canion and some of her neighbours discovered the 40-pound (18-kg) carcasses of three of the animals over four days in July outside her ranch in Cuero, 90 miles (145km) south-east of San Antonio. She said she had saved the head of one of them to get it properly tested. Additional hide samples have been taken to try to determine the cause of the animal’s hair loss, Mr Forstner said. the Archives of Never Yet Melted in the 'Coyote' Category.